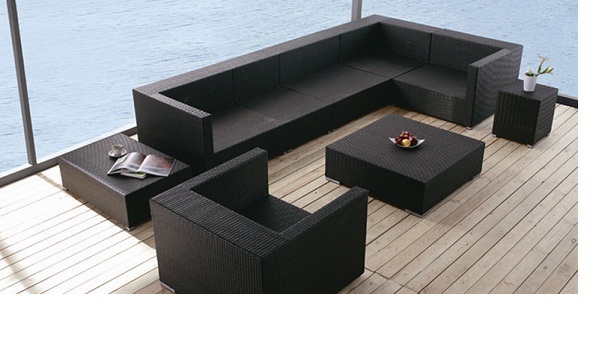 Sleek and lovely all-weather rattan, this sectional for indoor or outdoor use in your Mexican home is woven over an aluminum base. Extremely durable and versatile. Please order well in advance. Cushions are included. When we ship furniture to our customers in Isla Mujeres Mexico, we are always reminded of the lovely wide ocean vistas they enjoy there. This product just made us think of a great ocean view, such as you find in Isla Mujeres, Puerto Escondido or Huatulco. Sure to be comfortable and durable for you and your guests in Mexico.